Born on August 15th 1925, Francis McCready was a young man who joined up to be part of the RCAF. From his home town of Edmonton he left to complete his military and gunnery training at bases across Canada. He went overseas and after his arrival in Britian awaited his posting to an Operational Training Unit to become a part of a new crew. 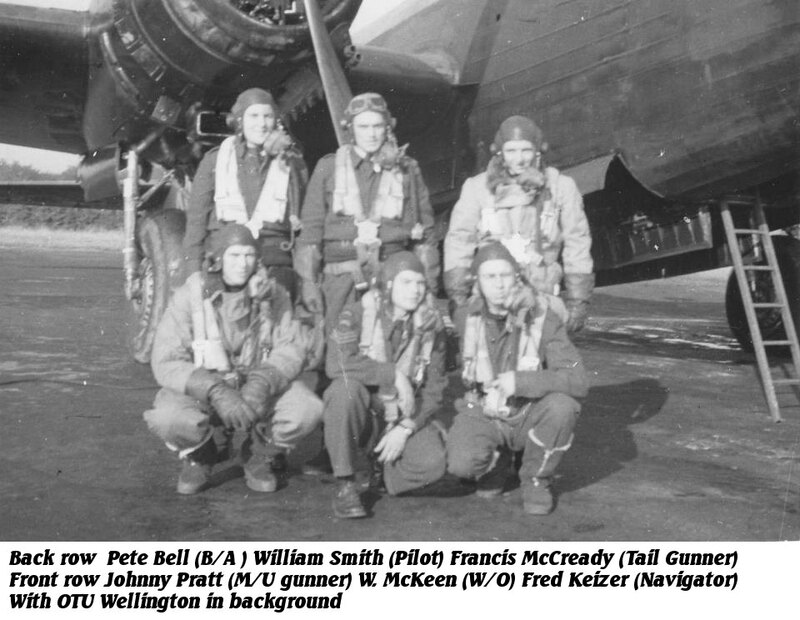 He crewed up with a new crew consisting of the pilot William "Smitty" Smith, Fred Kaizer Navigator, Johnny Pratt as the other gunner, Pete Bell the Bomb Aimer, and W. McKeen Wireless operator. They worked together as a team through OTU and HCU training. Then in February of 1945 they were posted to 419 squadron. At some point during his training, McCready became ill and by April 1945 he was sent home to Canada. On December 27th 1945 Sgt. Francis McCready passed away in his home town of Edmonton. On December 31st 1945 he was laid to rest at the Edmonton cemetery. He worked hard during his training and became a part of Smith's crew from OTU training from there until he had to leave active service in April of 1945. Members of Smith's crew remember him as a great guy and one who they would miss. I wish I knew more about him.